So this post is really really different. But here we go…. I was looking through my stats and lovely fans when I came across Abidah (I think I’ve spelt it right, sorry if I haven’t). She was nominated for something called the Liebster Award, which probably like some of you right now, I was unsure of too. So I had a quick read and figured it is quite interesting and a great way to get to know other bloggers too! As Abidah says herself ~ “I’ve come to the conclusion that this award is basically a way of welcoming new bloggers into the community.” I’d agree here. It’s a great way to get to know new bloggers a bit more and create a community we all are comfortable in. So far, since I started blogging, I’ve gained so much support from everyone and a lot of positive comments from other bloggers and non bloggers too! I’m so thankful to that, so thank you all for the support and positive comments and not making me feel “just one of those bloggers”. 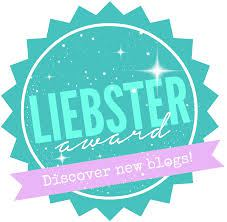 So to start off, Thank You Abidah for making me aware of such a thoughtful Award through your blog post. If you could meet one person who would it be and why. Mama’s grandmother. I’ve heard a lot about her through Mama and her sisters. Her personality and the way she was and everything. She’s definitely one person I would love to meet. I heard she was an amazing cook and could cook anything, even from scraps! She was one talented person; she could almost anything and I heard that she was extremely creative too. She’s taught Mama and her sisters many life skills and gave them many qualities that make them such wonderful people. And I’m glad to gain these too! I started my blog in November some time but wasn’t fully active till December time. I’ve always had an interest in Fashion and writing a blog was on my ‘What to do after GCSE’s list’ so I really couldn’t wait to do it. My blog isn’t just fashion though, it’s about loving yourself too and being positive about the way you feel about yourself no matter what. This I was taught to do since I was little by my ever so wonderful Mama! Ezza is another one of my inspirations. She has a campaign, which she started called “Be Your Own Shade Of Beautiful” , which is what I have lived by from a young age, like I mentioned previously about loving myself. I am very much inspired by her. She’s amazing! Ermmm… Oooh that’s a hard one. Probably Autumn. The colours and shades of autumn are so warm and lovely. It’s my favourite season to dress up too. The furs and burgundies. Love it! I’d love to be remembered for me, for what I am and not for something I’m not. Nothing fake because that’s not what I am and ever will be. I want to be remembered for my personality and my humour (apparently!). If you had to choose between love and money what would you choose and why? Love. Money can’t buy happiness; it’s a quote everyone knows and which some believe and do not believe. Sure money can make one happy but love means so much more. We can all remember those days when we walked out with 50p on a hot, summers day with our friends and had the best time ever! And we can all relate to them days where we’ve gone out shopping and wish we could have more and more. The love and bond between good friends and family is always the best happiness. And money can never be enough to make one happy. If you were able to time travel would you go to the past or the future and why? Ermmm. Again a difficult choice to make. I would love to go into the past and amend some mistakes and change the way I may have handled a situation. I would also love to go into the future and see what I’m yet to expect. But everything happens for a reason and let’s leave the future to take as a surprise! Right now… I wish someone would buy me tons of good chocolate. Ooh and a jar of infinity Nutella please! Either Abidah is really good at this questioning game or I’m really failing at making decisions. If anywhere in the world then…. By the beach or in Florence. Somewhere peaceful with good weather maybe. This crappy British weather and exam prep is too much and I’m more of a chill person than dull and depressed like the weather here. I’ve never had a favourite author. I used to like Michael Murpurgo and his book Kensuke’s Kingdom. That was a good book. I read this first in Year Six and still read it until date. That’s probably 50 times already! #ExaggerationGameStrong! Roald Dahl books are always a good read too. His take on poems are really good too! That’s the end! Abidah, thank you for these questions; they were really good. Is There Anyone That Inspires You? Why? Other Than Blogging, Do You Have Another Hobby/Interest? Food Is Everyone’s Favourite! What’s Your Favourite Food? YouTube! What Do You Use It For? If Life Gives You Lemons….? Like Abidah, I think it’s a good idea to nominate ALL YOU READERS, although only meant to be nominating 10. Give it a shot! I’d specially like to nominate Mustaina, because she’s deffo a blogger to follow. Her blogs are simply amazing. She’s got post you can always relate to, turn to and smile to. So don’t forget to check her out. You Go Girl! Great answers I loved reading this. I’ve learnt alot about you which is always very exciting.